We are the manufacturer of Solvent Extraction Plant. Our solvent extraction plant is specially manufactured and designed by the team extremely qualified personnel under robust infrastructure. 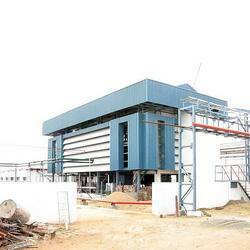 These solvent extraction plants are highly appreciated by the prestigious clients. We manufacture and export Vegetable Oil Solvent Extraction Plant. 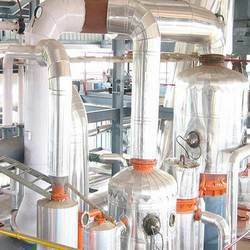 These solvent extraction plant is best in quality and is highly demanded in the market.In this, Provision of the special cooling system to help to produce final oil at 10-15°C. New vent vapor recovery system help in the better recovery of solvent from vent vapors. The suction load data of each steam jet ejector is precisely calculated which ensures lowest possible consumption of steam, thus reduction in recurring expenses along with a reduction in heat load on condensation system.Distillation is carried out in three stages of vacuum. Thereby achieving an incremental concentration of micelle at a predetermined rate. Furthermore, each stage is differentiated by incorporation of precisely designed U type siphon pipe, eliminating the use of a centrifugal pump. This ensures a continuous flow of micelle, reduces power consumption.The economizer is specially designed having built in flasher, which provides the compact design, Minimum plant space, and reduction in unwanted piping. This design itself provides the high-efficiency flashing which increases the micelle concentration. The final stage stripping is carried out in presence of steam under the higher vacuum of 700 mmHg. This allows the lower temperature distillation and they're by ensuring undamaged crude oil without color fixation.